Toolboxes best for busy and mobile professionals are those expandable and customizable – and that is a solution that Click & Go™ delivers. 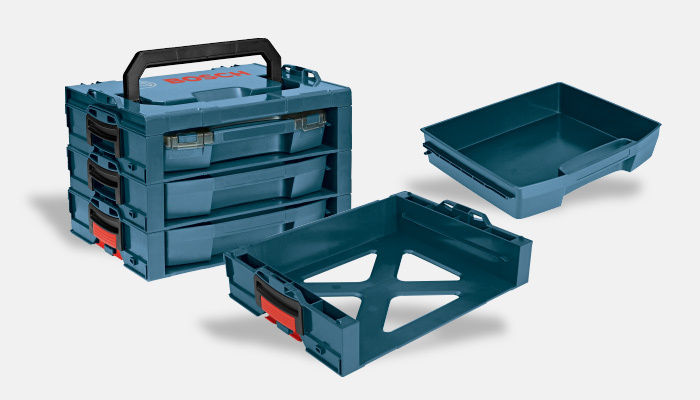 It can expand to hold more tools and accessories, custom fit tools for additional security, include secure stacking, is water resistant (though not IP65 rated) and provide drawers and trays and organizers for maximum versatility. This isn't just your old tool bag. But Bosch isn't finished. It recently added the L-Rack, an adaptable expansion attachment that utilizes i-BOXX trays and drawers for extra storage shelves. The L-Rack features convenient single-click stacking, and the standalone system comes with one i-BOXX53 thin tray, two LST72-OD drawers, three L-Rack shelves and one L-Rack-T top carry handle. Alternatively, users can purchase the L-Rack-S and L-Rack-T, which are compatible with L-Boxx® and L-Boxx® trays. These additions make an already customizable solution even more adaptable to individual power users' needs. 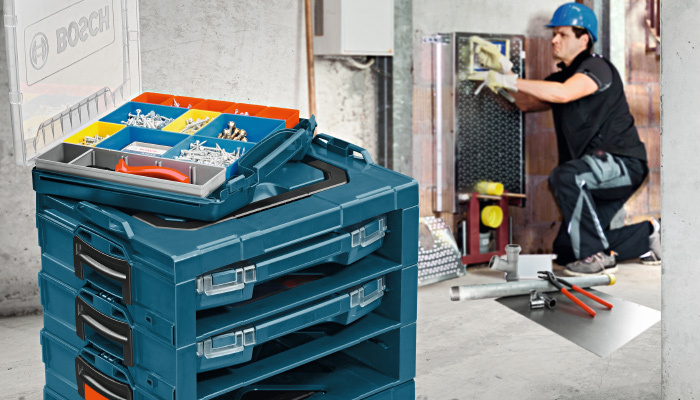 The L-Rack helped to compel Pro Tool Reviews to give the Click & Go™ system a Pro Tool Innovation Award for tool storage. 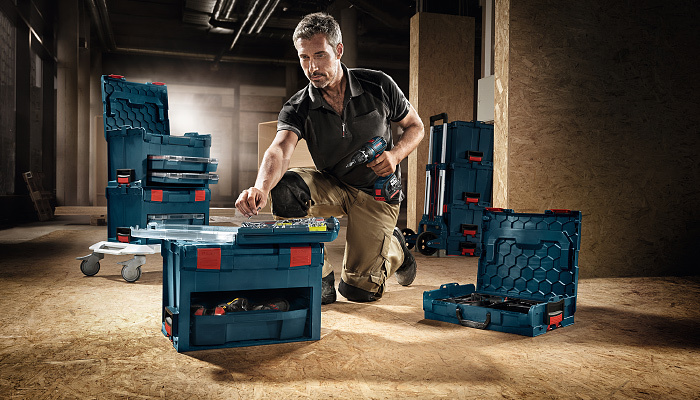 Writing for Pro Tool Reviews, Clint Deboer said that Bosch keeps innovating with the Click & Go™ toolbox system: "Case in point, this fall, the L-Rack expansion system will allow users to add additional storage to L-Boxx® or to create a larger organization system. To top it all off, these systems work in conjunction with products from Knapheide, Sortimo and even Ram Trucks." 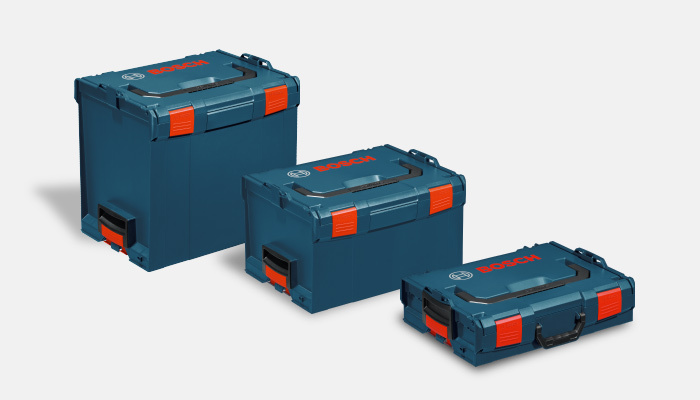 Visit Bosch Tools for more information on the Click & Go™ system or see the individual toolbox components.